Isn't this the yummiest looking Christmas fabric? I love pink, and these fabrics "Have A Sherri Berry Holiday" (pink and teal) are so refreshing. I just love them. I love all things tea, and Sandy Clough is such an incredible artist. What a delight to browse through the pages. 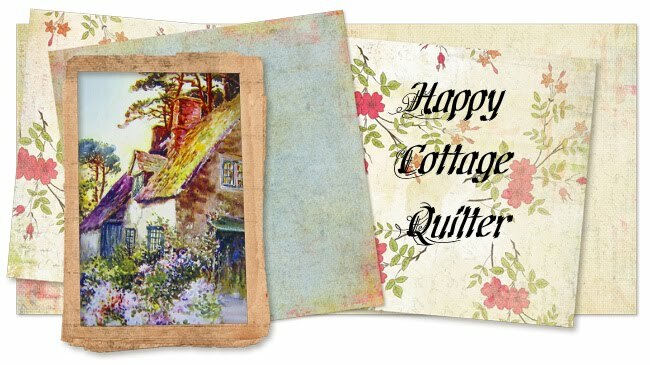 Doesn't this picture make you want to gather up your quilting, make a cup of tea and sit on the swing on the front porch?? Let's do it! Who will join me?? I was so thrilled when I found this quilt rack at the Goodwill for $4.00. But when I got it home, I realized it is pretty big! It's about 48" long! We don't have a wall that long in our house except down the hallway. So I guess it will eventually hang there. I needed to return some things to the library today. It was the last day I could keep them. So I headed out and made a couple of stops along the way. Even stopped at Sam's Club, looked at the magazines they have for 30% off. But I left them in the rack. The magazines have gotten so expensive lately, that if they don't have at least 3 or 4 projects I really like, I'd rather just use the ones I have already. Made my way to the library. It is always so busy in the summer time. I found a parking space, as I thought I might take a few minutes to look around. I often like to look at the quilt books, and even some of the books on tape. Ten, count them, ten choice Quilting magazines. There was actually another one there, but it was one that I already had. I scoffed up these little gems for a grand total of $2.50!!! Yep, 25c each!! And they are all newer magazines too. Boy did I ever float out of that library. I did not even go back to look at the books. It felt like I needed to make an escape, lest someone would find out that I had bought them all! So now I will enjoy looking through all of this eye candy. Once again Kim at Shabby Pink and Pretty is hosting Teacup Tuesday. Please take a moment to drop over to her blog and say hello. My teacup today is one that has traveled many miles. My dear daughter brought this cup and saucer to me from Russia when she went on a missions trip during Christmas 2004. The purpose of the trip was to serve and bring the Gospel to hundreds of "Pensioners". The "Pensioners" are the retired school teachers whose lives changed at the end of the cold war. Once in a very honored position, they were now living with little. But once a year, a small group of young people would serve them a banquet meal, share God's Love and bring a little bit of cheer into their lives. You know there are just some really special bloggers out there that do very kind things. Micki over at Irish Muses was given two much deserved Friendship Awards. And in turn she was to pass friendship love on to other bloggers. She so very kindly included me! Sometimes one of the hardest things to do in life is to make choices. How do you pick from such an array of generous folks out there? So many of you have brought sunshine into my little corner of the world. And for some reason I felt that the beauty of the rainbow would help me to express my thoughts. A rainbow is an optical and meteorological phenomenon that causes a spectrum of light to appear in the sky when the sun shines onto droplets of moisture in the earth’s atmosphere. When I think of a rainbow, I think of the cool rain that comes before the waves of color upon the sky. The rain that has refreshed the earth and brings life with every drop. When the rain stops, many times the rainbow appears. The colors are sometimes clear and sharp, and other times they are muted, almost hard to see. But one thing is for sure, the rainbow is a sign of a promise. And with that promise comes encouragement. These lovely ladies encourage me every day. Sometimes it is bright and cheery, other times it may be a quiet friendly hello. I know that sometimes crafty creative bloggers do not accept awards. If that is so, I deem them with an Honorary Friendship Award! Rainbows can be caused by many forms of water, including rain, mist, spray, and dew. But after the rainbow, comes the sunshine. Thank you ladies for bringing refreshing sunshine into my world :-) Go forth and share the Friendship love! Why is it that we are drawn to something and before we know it we've started a collection? There are several more giveaways going on. The Faithful Quilter:Elaine's Journey is having a quilter stimulus giveaway. Isn't that cool?? True Up is also having a giveaway. A color chart of Kona Cottons Solids! How many times have you lugged your fabric to a store to try to match a color?? This chart also helps if you order online. And for a non Quilting goodie, there is a cool giveaway for a Designer Lunch Tote at the Stretching a Buck blog. Go here to find out the details. And finally, don't forget about Jodi's giveaway at This That and The Other. Jodi has a new tutorial over at Moda Bake Shop and she is having the cutest little Christmas giveaway! So stop by and check out these wonderful giveaways. Well here we are once again at Teacup Tuesday. Kim has been the gracious hostess and she would love to have you visit her blog. My offering today is not quite as fancy as some, but it is just as special to me. My sweet daughter gave me a set of these FireKing cups and saucers for Christmas last year. She found them on ebay, and they are in perfect condition. I had never seen this pattern before, so it was a very delightful addition to my cups and saucer collection. A few months ago we were browsing in an antique shop and I spied this sugar and creamer set. It's so fun to be able to add serving pieces to the 6 cups and saucers that I already have. Please stop by Shabby Pink and Pretty and let Kim know that you are enjoying these lovely Teacup Tuesday blogs. ..... by the kind, generous, creative people out there in blog land. JoAnn has just walked through a serious health issue with her dear hubby, but she is having a wonderful giveaway on her blog Pieceful Afternoon. Please stop by her blog and take a look. Quilt designers amaze me at how they can come up with so many new ideas. I recently received an amazing prize from Linda Lum DeBono. Linda has an incredible line of fabrics and I am so happy that I've got a sampling of them to use. Plus she sent me four of her books. She autographed each one of them too! Did I mention that I love pink! And a book about scrapbooking, that also includes quilting. How cool is that. All I wanted to say is that quilters have big generous hearts, and I am grateful to have met so many of you through blog land. Yesterday, Wanda over at Exuberant Color showed a great quilt she called My Ray of Sunshine. I loved it! So last night I started digging out my yellow stash. I separated them into light and dark yellows and started cutting squares. woo-hoo......... a Sunshine Summer quilt. A great stash buster! I'll keep you posted. Check out Wanda's blog. She makes some very beautiful things. Organization is something that I really have to work at. It just isn't one of my gifts. But I would like to share a few things that help me to be a little more organized in my sewing area. Recently Crispy of Crispy Quilts mentioned on her blog that she was a collector of patterns. I think we all collect a healthy assortment of patterns as we make our way through this quilting adventure. Not only do I have patterns that I've purchased at the LQS, but I have also downloaded patterns from my computer. So what to do with all of these dreams in the making. Of course it is fun to use pretty (or clearance) folders. My collection of scissors grows. And everyone in my household knows that if they use my fabric scissors......... well, they might walk the plank! I try to keep my craft scissors and fabric scissors separated. I found the little green garden holder at JoAnn's and the jumbo pencil cup at the office supply place. For years I have cut out patterns from magazines, or saved the free sheets from the fabric manufacturers. I like putting them in a clear sleeve and into a notebook which is a wonderful way to store them. It's fun to take out the notebook and browse through for creative ideas. Well I hope that this Friday Feature has been informative for you. I'd love to hear your organizing tips as well! My daughter found this beeee-u-tiful cake stand at a yard sale. I love glass ware. It dresses up your table so elegantly. I found this cute little guy at the thrift store. I was going to put him out in the garden, but I like him so much that I need to find a little spot to keep him out of the elements. A few vintage sheets and linens. We stopped at an Estate sale and I found this glass serving dish for $1. The lady said the basket went with it, but I really think it is prettier without the basket. I love the twisted glass border. Very sweet and dainty. A couple of weeks ago, our local Hospice Thrift store was having their 50% off day. I almost did not go (it was the holiday weekend) but decided I'd go and check it out. Was I ever glad that I did. They had just put this little table on the floor. I thought the detail work was so pretty so I grabbed it up. It was marked $10, but I bought it for $5! Don't you just love the detailed woodworking? This spot works so well for a little basket my daughter gave me to keep magazines and books. Add a tablecloth, a picture, a candle and some vintage books. Do you know what day it is today? ?